Part of A Series: Storm is book #3 in the Swipe Series. Summary: In a future United States under the power of a charismatic leader, everyone gets the Mark at age thirteen. The Mark lets citizen shop, go to school, and even get medical care—without it, you are on your own. Few refuse to get the Mark. Those who do . . . disappear. What I Loved: I ate this book up, er, I meant to say that I read through it extremely fast, as I found myself gripped so tightly by Storm, the exciting third installment in the Swipe Series. The writing by Evan Angler was excellent, as I've come to expect. And now that the characters are an extremely well established part of the story, I really felt like the plot was able to take a rather daring all-over-the-place exciting frenzied flight - and we were even introduced to a few new characters, which I loved as well. Storm was chock full of chaos and mystery - I mean, so many characters that I thought I had completely figured out already- like Cylis, Lamson, Lily, Erin, Peck and Logan, and you get the picture! - really, really surprised me in Storm. Everything is not as it appears, as multiple kinds of "storms" start to rear up their ugly heads at our all-over-the-map, and well-worn, team of Dust and Markless, as they begin to stand up and start the end-times revolution. I'm really anxious to find out what happens next to both Logan and Lily, especially whether or not they are both actually on the "wrong side of the tracks." Only time will tell, I suppose. I also happened to love the part in Storm where a few of the characters found a copy of Swipe in the Library, and were able to read about themselves, as the "mystery author" recounted their journey so far. I thought it was a swell addition to the story world - and it made it feel all the more real. Translation: You are so very, very clever, Mr. Angler! What I Didn't Like So Much: I really didn't dislike, or hate anything. Seriously. Storm did sort of feel like a "bridge book" at times though, and by that I mostly mean that the story felt like it was constantly gearing up for something far grander in the future with every turn of the page. All in all the story definitely didn't "get there" completely in Storm because there were far too many loose ends revealed, though I will say that everything in the plot, loose ends included, worked really well. I only hope there will be more books in the series to come . . . and SOON! I’m recommending this book… If you love Dystopic novels like The Hunger Games Trilogy by Suzanne Collins or The Left Behind Series by Tim Lahaye and Jerry B. Jenkins then Storm is definitely a book you’ll want to read. 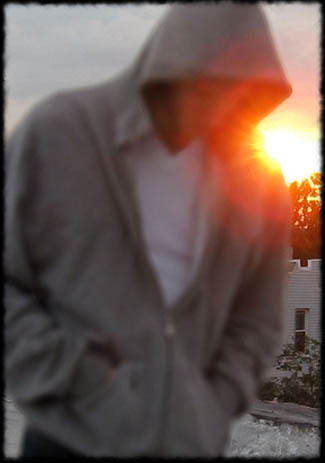 Evan Angler is the author of Storm. But if anyone asks, you know nothing about it, and you didn’t hear anything from him. Don’t make eye contact if you see him. Don’t call his name out loud. He’s in enough trouble already. Also, check out these other Team Novel Teen bloggers ( below ) to see what they had to say about Evan Angler's novel STORM. Team Novel Teen is a group of bloggers dedicated to spreading the word about clean teen fiction. 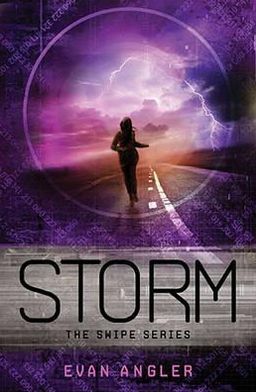 Check out other posts about Storm by Evan Angler by clicking on the links above, and check out www.NovelTeen.com for more information about Team Novel Teen. Just loved this book :) I really adored how he writes as if he is in that world...who knows he might be! And the characters reading Swipe, just perfect! I'm really excited for what will be coming in the next book! Great review! Yes, I foresee a clever twist happening - or at least I can dream of one anyway! Good review -- loved that moment when they found a copy of the book! Didn't like it when a favorite character almost died . . .can't wait for next book -- agree with you, seemed more like a bridge book than a standalone or conclusion. Great review. There was a lot of things going on in this book and a lot of twists. Mmhmm. There sure were, and I loved every single minute, er, page of it!